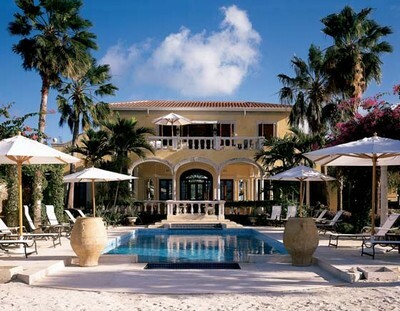 La Casa is a luxury private estate located on the Private Island Resort of Jumby Bay. 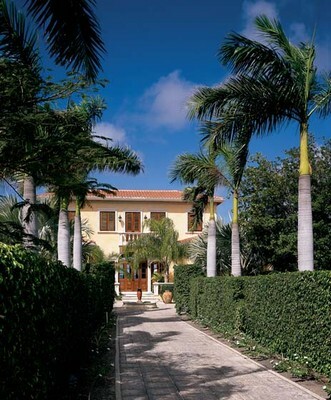 Set on three exquisite acres of lush and manicured tropical gardens this home will leave you breathless with its beauty. 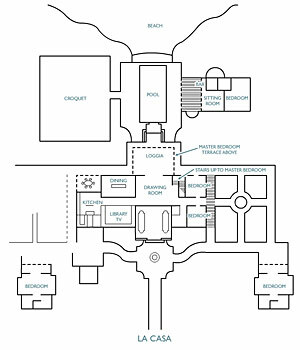 It is Italian in style and the grounds overlook the beautiful white sands of Pasture Bay. The villa features a master suite with its own private balcony as well as two additional bedrooms, a salon, library and two dining areas. For friends traveling together and wishing for privacy from each other or for those travelling with staff there are also three separate guest cottages located on the grounds. La Casa’s has been beautifully decorated with the most elegant and luxurious furnishings available, the villa is as magnificent on the inside as the outside offering stunning and panoramic views of the Caribbean Sea. Once there you will never have to leave as La Casa also offers guests a fabulous range of activities and amenities including a private croquet lawn, a pool with a Spa Pool, a bar, a floodlit tennis court and a fully equipped state of the art gym. It is the perfect escape for a large group or friends and families with many separate living spaces spread over the villas private grounds.